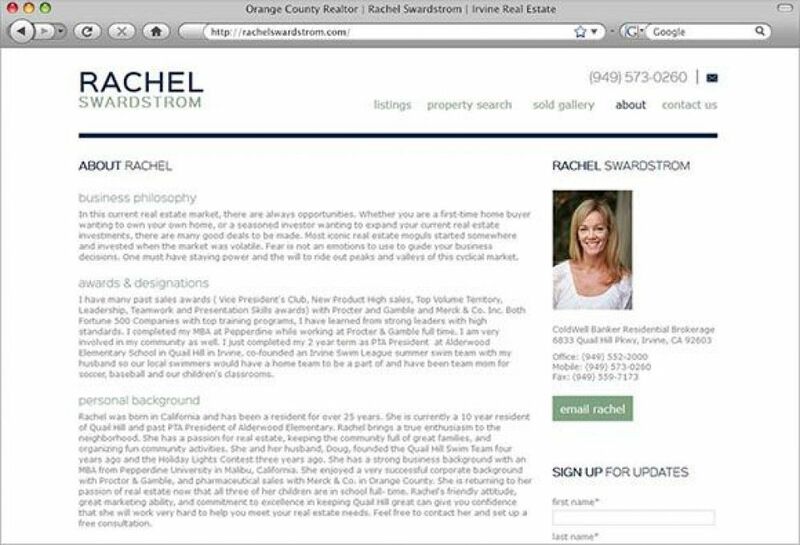 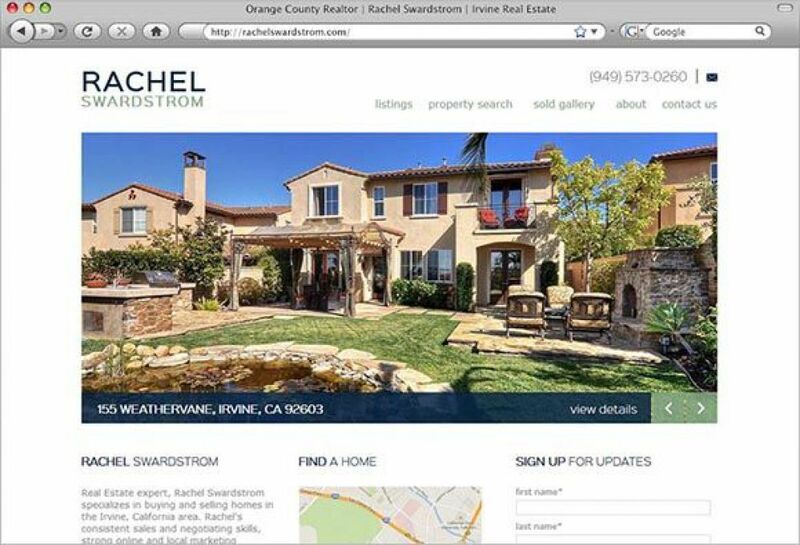 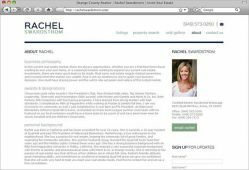 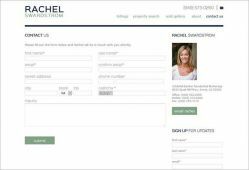 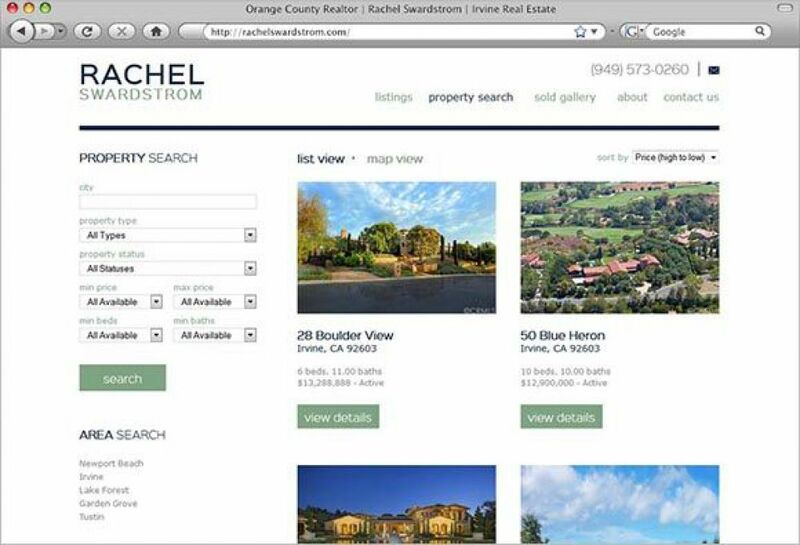 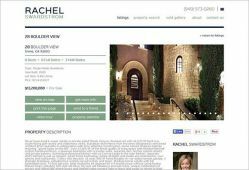 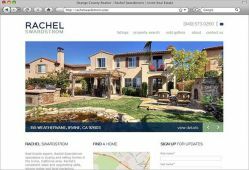 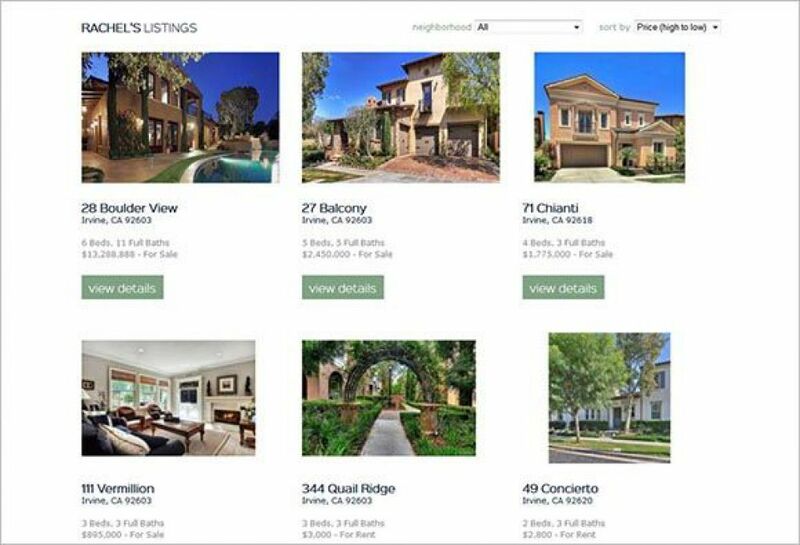 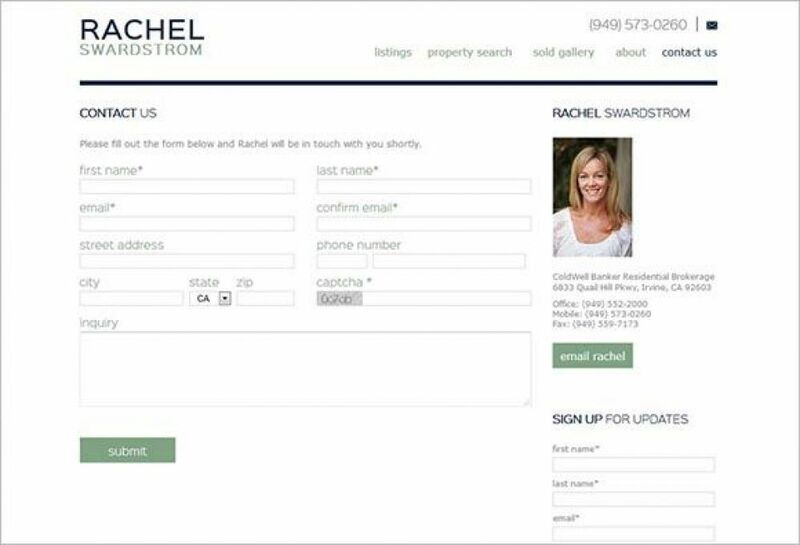 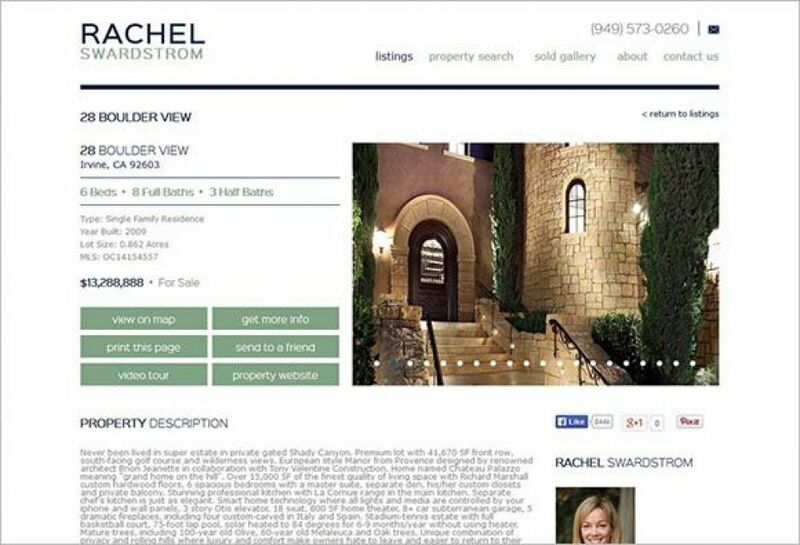 SM Sold developed a brand new website for Rachel Swardstrom, real estate expert in the luxury Irvine area. 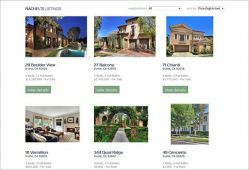 A fresh color palette and clean layout set the state for the Swardstrom Groups growing list of properties. 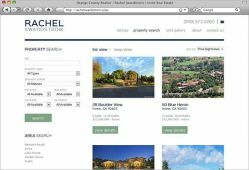 Site includes clean design, integrated real-time MLS Property Search, Sold Gallery, as well as About and Contact Us pages.